Invest in Cape Cod Real Estate. Although Cape Cod is known as a summer getaway destination, many people call this beautiful area home. If you’re looking to invest, sell, or buy, check out our Cape Cod Realtors and real estate agents. Nantucket, Provincetown, Sandwich, Hyannis are a few towns in the Cape Cod region of Massachusetts with homes, commercial property, seaside condominium listings and other realty available. Please share your Massachusetts Realtor reviews. 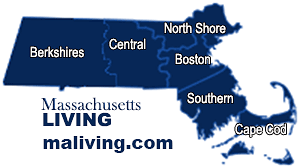 To feature your Massachusetts Realty Services, contact us.